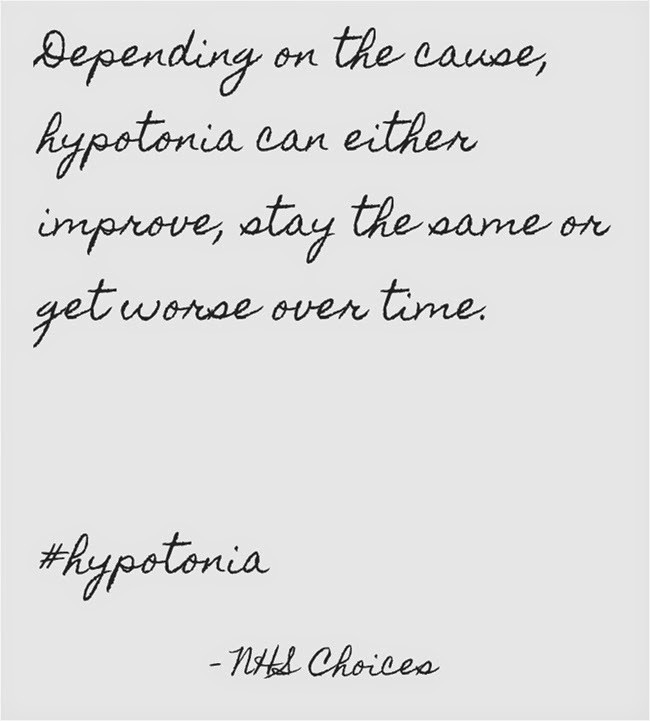 I have often compared our hypotonia journey to that of my hilly bike rides as a child. There are moments of extreme stress, of hard work and of doubt. Some days, I know we are fighting an uphill battle with no end in sight. Those are my darkest days -- days full of disappointment and despair; days consumed with one too many trials and way too many tears. On days such as those, I remind myself of my childhood bike rides. I make myself recall the fact that the best part of the ride up the hill was always the promise of the joy that accompanied the ride down. My daughter's disability has gifted me with many things: strength, perseverance, determination, and a fresh perspective. And in a sense, I have been given a second chance to re-experience my childhood bike rides once more. For each delay, there is an inchstone gained and happily celebrated. For every obstacle in our path, there eventually comes a sense of accomplishment. For every long ride up, there is a fulfilling ride down. And no matter what amazing feat I've attempted, or where I've traveled, or what I've achieved, nothing in life has caused me as much struggle, and consequently, as much joy. Ceci reminds me daily that although the hill may be steep and the exhaustion real, the beauty of the ride down is worth it all.